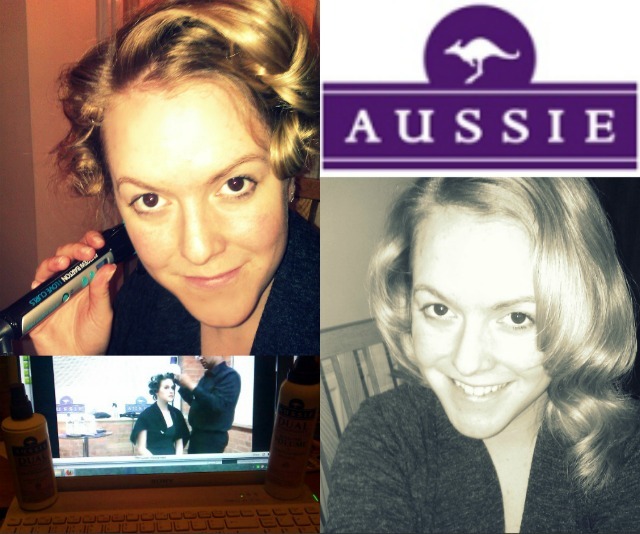 Wednesday night saw me sat infront of my laptop with towel dried hair eagerly awaiting Aussie & Eugene the stylist to teach me a big and bouncy curly style. I was really impressed with this product, I've never used it before, but after applying the mousse I sprayed this through my hair (concentrating on mid-lengths and ends) and found it left my hair with a great, beachy texture. It was still soft and I could rake my fingers through my hair. Definitely winner for summer hair! I have always been a big fan of Aussie mousse, the smell is incredible and it really conditions your hair. You do achieve volume and my hair is always full of bounce whenever I use this before blowdrying. Even a rough blowdry will still give your hair oomph! Probably one of the best smelling hairsprays on the market. I prefer to use this as Eugene directed, either sprayed onto a brush, or a light spray to finish. I personally find the hairspray a little tacky when applied for serious hold. The end result was a gorgeous soft wave look that smelt and felt amazing. As the evening went on I found that whilst the waves dropped slightly it only added to the relaxed look which is great for summer. What do you think? What do you think of virtual styling? Something you'd give a go?